It’s here folks, the biggest show of the year has finally arrived! The biggest stage of them all and the absolute ultimate goal for any WWE superstar is to climb up into that ring. This Sunday brings about Wrestlemania 34 and what a line up they have for us. I expect as always there will be a few surprises to keep the fans on their toes. I mean…. I am still keeping my fingers crossed for a Cena vs Undertaker show down to end all show downs – but I figure I will be waiting a while for that. So lets get to it and have a look at the matches that we will be seeing this weekend shall we? These two powerhouses go one on one again in the square ring this weekend with the Universal Championship up for grabs. Lesnar has been the longest reigning Universal Champion and currently hasn’t suffered a loss since 2016. So can Reigns be the one to finally end his streak and take the title from Lesnar? The two met famously 3 years ago but neither one walked away a champion that night – can that all change this year? It’s a tough one to call, Lensar is a beast and has a brutal track record, it will take something very special to knock him from his throne… But maybe Reigns is the one to do it? Very very close call but I think I would prefer to see Reigns in the belt than Lesnar so I will have to back him here. Shinsuke Nakamura put in a valiant effort at the Royal Rumble this year in order to win his chance at a title shot at Wrestlemania. I am glad he did because he really is a fantastic performer and having him in the ring always makes any match more interesting for me. And against AJ Styles as well, a phenomenal opponent. 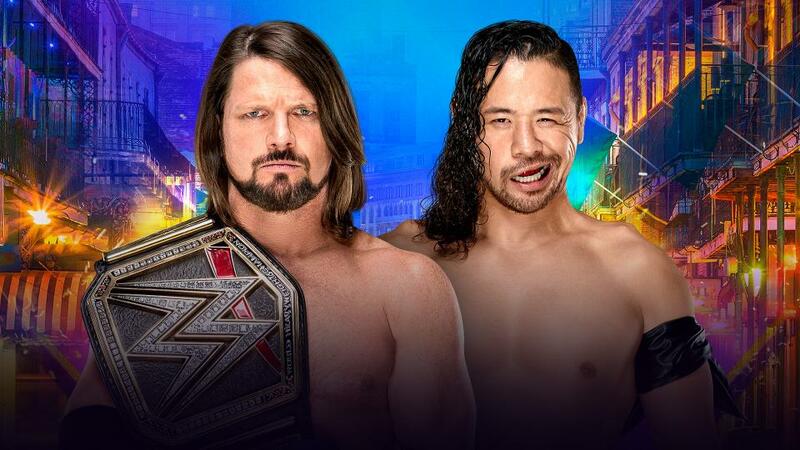 I think this will hands down be one of the better matches of the night due to the sheer skill and talent both of these superstars bring to the ring. It is hard to say who is the better wrestler it really will come down to who can go the distance on the night with these two. However I do think that Nakamura has well and truly earned his chance to be champ and I think he should win. 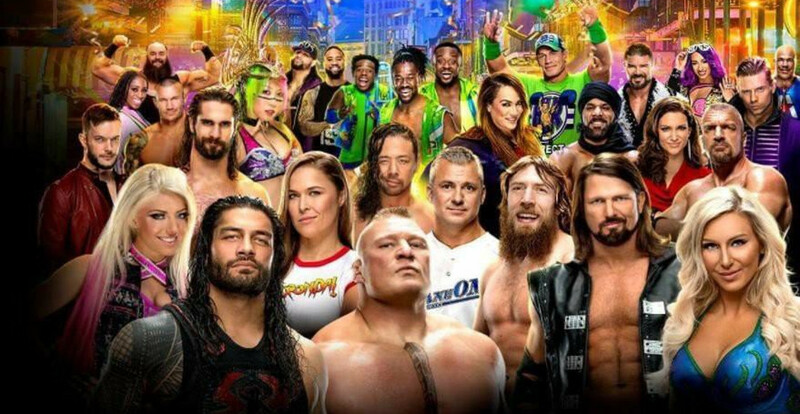 Urgh enough already with the McMahon’s getting in on the biggest show of the year, I know it is their company and all that but seriously? C’mon guys you have a locker room full of fresh amazing talent who can out wrestle the likes of Stephanie McMahon any day. Give them a chance and stick to the boardroom!! I mean sure Triple H probably still has a few decent matches left in him, but this is just silliness really. 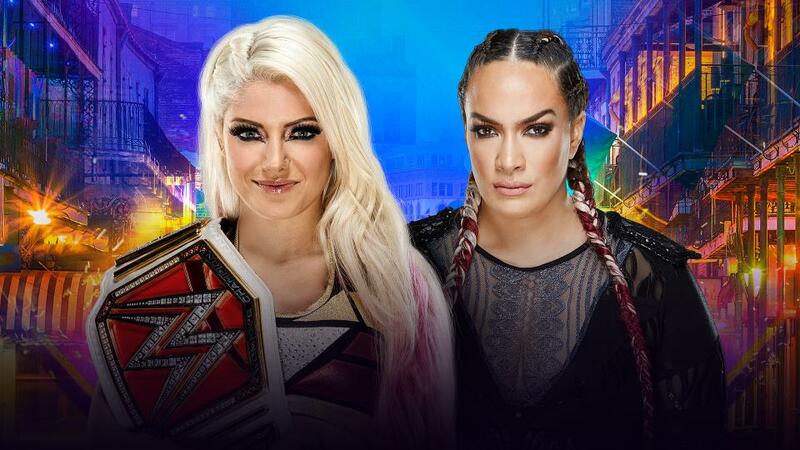 I am not sure I would be bothered who they are up against I would back the other side, so I hope with all my might that whilst I am using this time to make myself a cup of tea, Kurt Angle and Ronda Rousey put an end to ‘The Authority’…. So the dust has finally settled on the news that Daniel Bryan will return to in ring wrestling since his shocking and heartbreaking retirement 2 years ago… But this is it – the night we have been waiting and praying for now for the last 2 years! He is FINALLY back! And teaming him up with Shane McMahon, you know we are going to see some craziness in the ring for this match let’s be honest! I am never quite sure how long KO and Sami Zayn will remain on good terms before they start trying to take each other down again so this could be the most interesting match of the night for me personally. 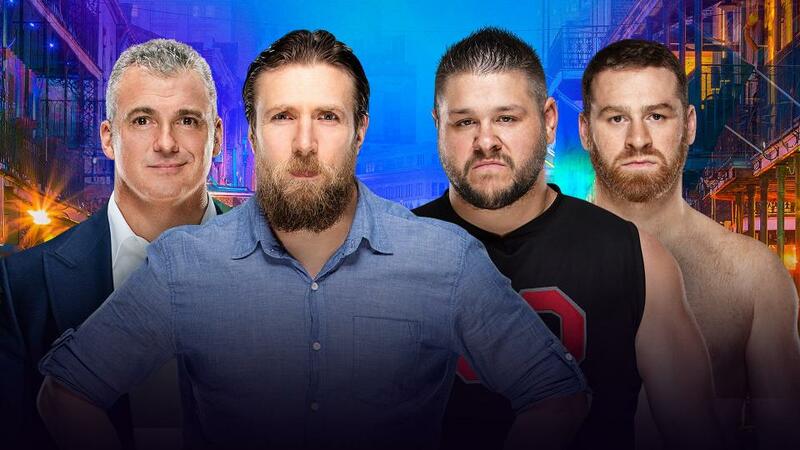 I really do want Daniel Bryan to win his first match back – I think it is the welcome back that he deserves and needs, but if KO and Sami are on top form on the night they will likely walk away victorious. It is a very hard call. It’s a shame to not see Bryan reunited with his old pal Kane but I guess Shane-O-Mac will be a fair partner for him. Is it enough though? We will have to wait and see I guess. So Asuka made her choice – she chose Charlotte to be her opponent, it’s Charlotte’s title she wants. This is certainly not a match you want to miss. 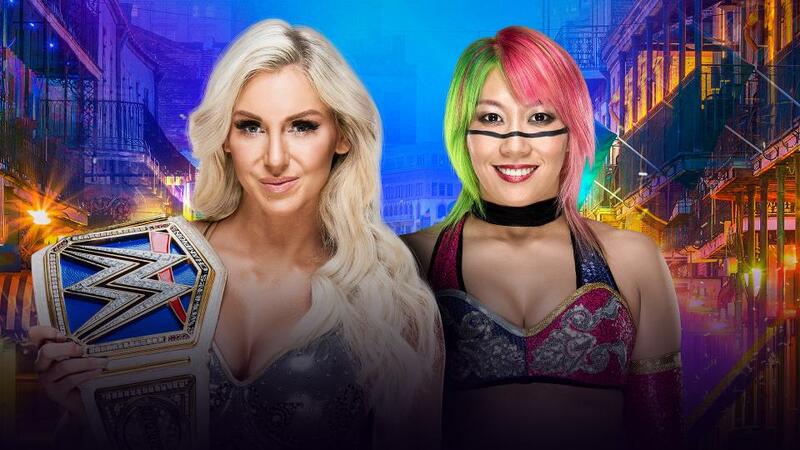 Charlotte will fight tooth and nail to retain her championship, but we all know that undefeated Asuka is not a force to be reckoned with. I have no idea what it is going to take to take Asuka down and tarnish her undefeated record, but I fear Charlotte is not it. I just cannot see any version of this fight ending where Charlotte wins. Well – unless she plays real dirty which is always a possibility but let’s hope she keeps it clean. So The Miz is going up against 2 very good and worthy opponents on the biggest stage of them all, and his title is on the line. Surely The Miz would be glad of a bit of a break from the championship to spend some more quality time with his new family maybe? Either way we all know I don’t like to back The Miz no matter what the rest of the team here say! So let’s focus on the others. Seth Rollins is an amazing wrestler and has been on a rampage recently to try and be back at the top of the pack, he will be pulling out all the stops this weekend to try and walk away with the belt. And then we have Finn Balor – lovely Irish Finn Balor. Still wounded over having to give up the Universal Championship due to injury, he never lost that title so it’s about time he got another title so we could see him really hold his own against a locker room full of people wanting to knock him off his throne. 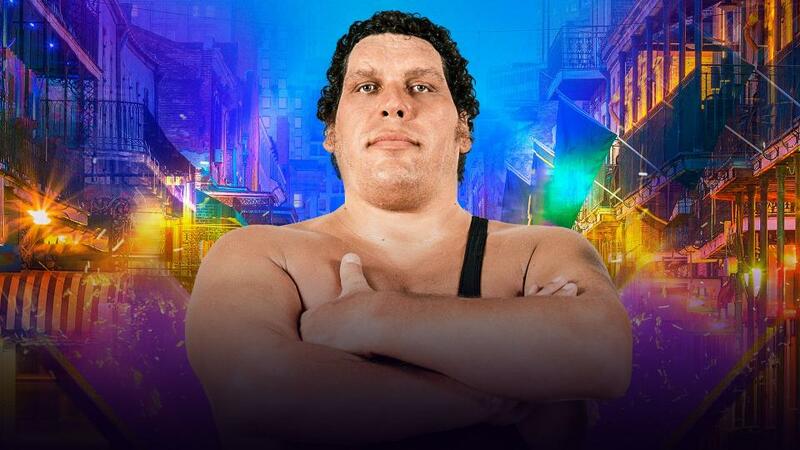 This could well be his chance to gain a belt and show us what sort of champ he really could be. I hope he does. Although really – anyone but The Miz and I am happy! Bit of a difficult one to really predict this one. Braun Strowman gets to have a partner of his choosing to team up with him and take on the Tag Team Champions Sheamus and Cesaro. So without knowing who he is going to pick it is difficult to know how exactly to play this one. 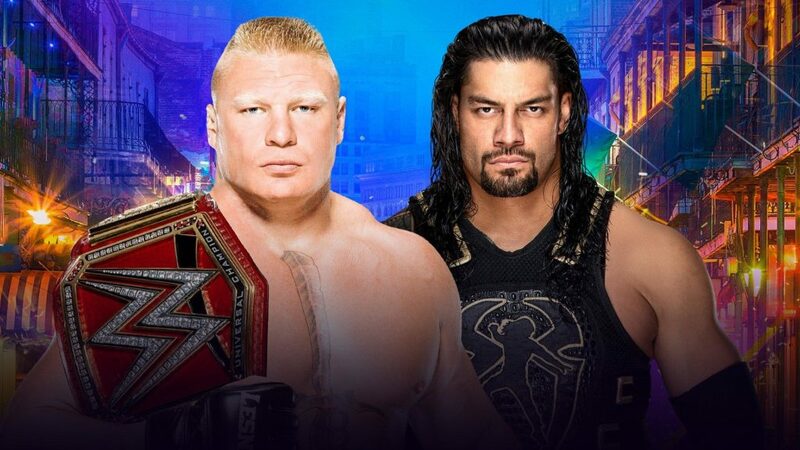 Although as much as I love Sheamus – and we ALL know I do… I think maybe Strowman could win this one on his own, will his partner just be there to decorate the apron whilst he takes on the Tag champions single handed just because he can? Will anyone want to work with him anyway? So many in the locker room have fallen foul to what is described as a one-man wrecking crew. 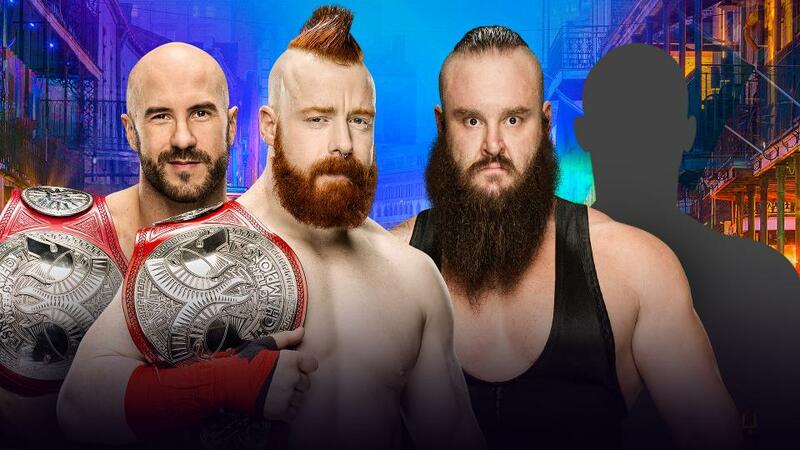 Either way – sorry Sheamus – I have to be sensible here and Strowman is by far the logical choice. Well this little band of hellraisers were bound to fall apart eventually weren’t they? We were all waiting for it and it was no surprise when Bliss was caught bad mouthing her BFF Jax on camera. And so we end up here this Sunday – the showdown to end all showdowns between Bliss and Jax. Jax is livid with Bliss and fully intends to take out all of her rage on her former BFF in the ring this Sunday night. Can she tap into enough rage to get her the title though? Pretty sure with the size difference between the two Jax could just sit on Bliss for the 3 count and it will all be over. She towers over her former friend and will likely have no restraint in this match up. It will be good to see her have a chance at the role of Champion and see what she can do with it. Now is Jax’s time. 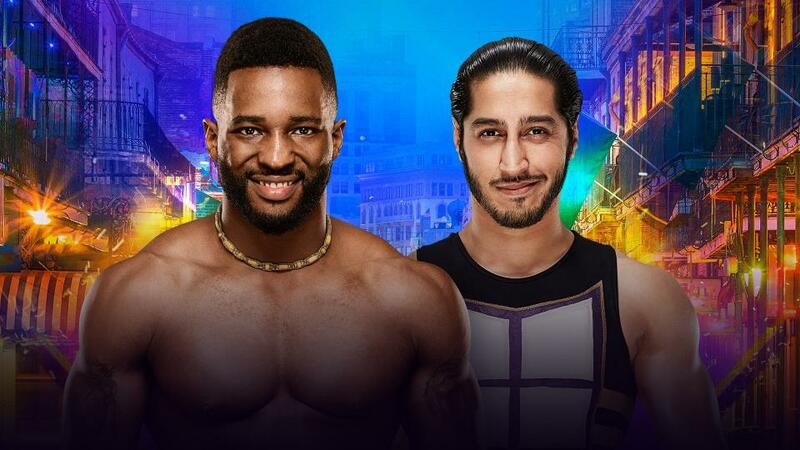 This match is the final from the recent 16 match Cruiserweight Championship Tournament in order to determined who will be crowned the Cruiserweight Champion. Both of these contenders have worked extremely hard to get to the final, beating many other peers on their way. Both are equally as worthy as the other when it comes to holding that championship up high at the end of the match, it could go either way. Looking at their past matches in the tournament though I do feel Ali has a slight edge here. And let’s be honest, if I am going to see anyone knock An old local hero of ours – Gentleman Jack Gallagher – out of the running for the belt then they better be sure they are going to go on to win the title! As with any Battle Royal match I really can’t give an accurate guess as to who I think will win. You don’t know until the match starts exactly who will be competing so how can we guess who will win it? I feel like there is going to be something huge happen here – a big return maybe? A shock entrance? So far we only have 14 confirmed superstars in the match including last year’s winner Mojo Rawley. 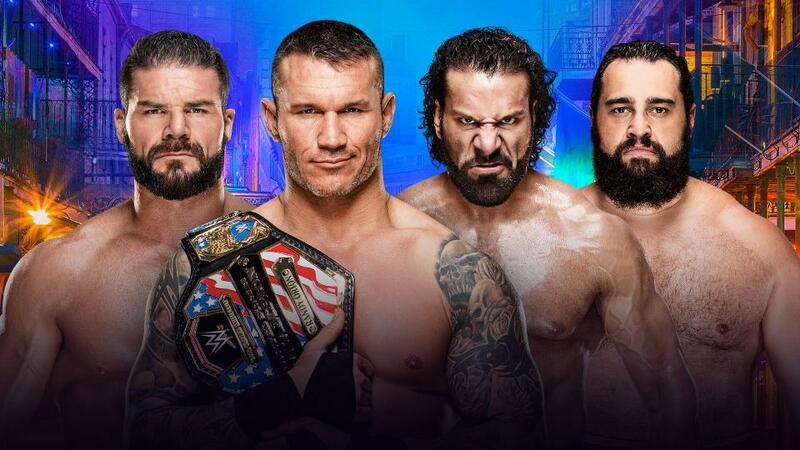 Looking at the line up I am not really convinced any of them are going to win it so I am sat here pondering what the WWE could possibly have up their sleeve for us? I do hope there are some big unexpected shock entries to really get us pumped up ready for the main show! As with the men’s match – this one is a tough one to call as not all of the entries are announced so we are never quite sure just who is going to come through to the stage next. 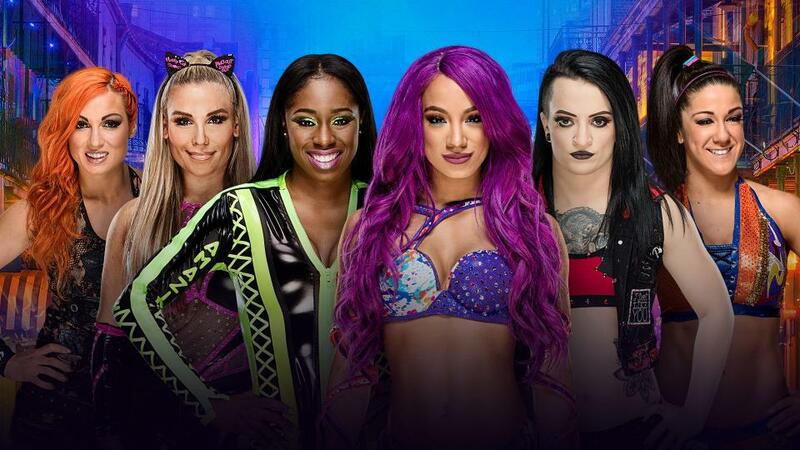 This is a historic event as it is the very first Women’s Royal at Wrestlemania so surely every female Superstar in the locker room is going to be selling their soul to the devil – or at the very least Vince – for a chance to be in this match? Looking at the 13 superstars that are already announced at the moment my money would probably sway towards Sasha Banks or Naomi (maybe) but it really does depend who else is going to come into the ring on the night. If the line up stayed as it is now (which it won’t) I will go with Sasha Banks to win. Those are our predictions, what are yours? Please leave them in the comments below.